Austin Frakt, the Boston University professor whose "Incidental Economist" blog has become a daily "must-read" throughout the health policy research community, has been signed to write for a new evidence-based New York Times blog to be called The Upshot. The announcement of the new relationship was made in a March 19 Facebook post by The Upshot's editor, former New York Times Washington Bureau Chief, David Leonhardt. Blogger Austin Frakt, PhD, is a Boston University professor and Adjunct Senior Fellow at the University of Pennsylvania's Leonard Davis Institute of Health Economics (LDI). Upshot which is designed as a data-based journalism site focused on politics, policy and economic analysis. The content will be produced by a a team of veteran Time's staffers, outside journalists and a number of outside academic expert contributors like Frakt. In his announcements about the new Times' venture, Leonhardt, a Pulitzer-Prize winning journalist who has a BA in Applied Mathematics from Yale, said the Upshot "will feature plain-spoken, analytical journalism, with an emphasis on data and graphics." Frakt called it "an exciting opportunity that furthers the aspirations of The Incidental Economist (TIE) and its bloggers to bring data and evidence to the national health policy debate. I think The Upshot will give me a wider and bigger audience than we've built at TIE." He also noted that, "We'll still be posting to TIE, perhaps using it to build up toward pieces that appear at The Upshot. For instance, we might take a more leisurely and detailed stroll through the literature at TIE, and then synthesize it at The Upshot. As an example, I'm taking such a stroll now with a multi-post treatment on the literature of job lock." Frakt has appointments with Boston University's School of Medicine, the Department of Health Policy and Management at Boston University's School of Public Health, and Health Care Financing & Economics (HCFE) at the Boston VA Healthcare System, U.S. Department of Veterans Affairs. He is also an Adjunct Senior Fellow at the University of Pennsylvania's Leonard Davis Institute of Health Economics (LDI). Since 1999, his health economics research projects have focused on economic issues pertaining U.S. health care policy involving Medicare and the uninsured. Created by Frakt in 2009, the Incidental Economist blog has become a leading online publication for the health economics, health services research, and health policy communities; its content is routinely quoted by the highest levels of the nation's mainstream media. TIE is a major source of insights for researchers as well as journalists, policymaker staffers, and business professionals grappling with health economics issues in this age of sweeping health care reform. 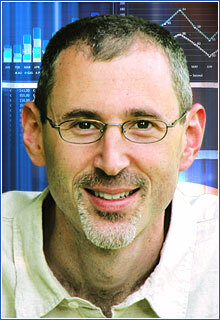 As the Incidental Economist's reach and audience grew, Frakt brought in Aaron Carroll as co-editor/author of the site. Carroll, who will also be writing for the Times' new Upshot site, is a Professor of Pediatrics at Indiana University's School of Medicine. Upshot is one of a number of new data-blog-like ventures -- often referred to as "explanatory journalism" sites -- launched within major U.S. media entities. Their rise was in part fueled by the audience-building success of Nate Silver's FiveThirtyEight blog in The New York Times (that has since leaped to ESPN). Others in the same genre include former Washington Post blogger Ezra Klein's soon-to-be-launched Vox.com; Bloomberg's QuickTake; and Slate's The Explainer.